Last Christmas, we gave you our heart. This Christmas, we have something else in mind. Put down that mince pie, switch off the TV for a few minutes and watch this. Yes, now. We’ll keep this short as you probably have plenty to do like, well, you know, stalking your ex on Facebook or wondering when the Bond film will start. 2013 was an utter blast all round for us and we were happy to report from the pews on the latest cabaret shenanigans. 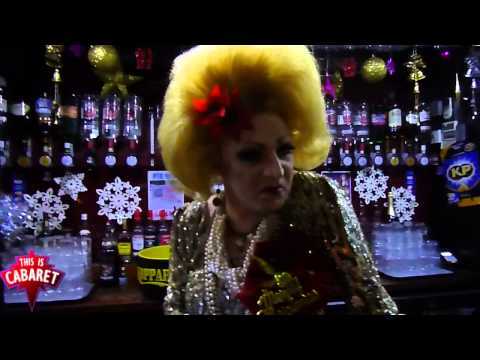 We look forward to doing more of the same and hope that, no matter what you’re doing right now, you’ll raise a glass with one hand, click play with the other and watch our Alternative Christmas Message featuring none other than London Cabaret Awards 2013’s Best Drag Act Myra DuBois and filmed by that there Harry Clayton-Wright. Roll VT.
A merry Christmas and a happy new year to all our readers from the editors.